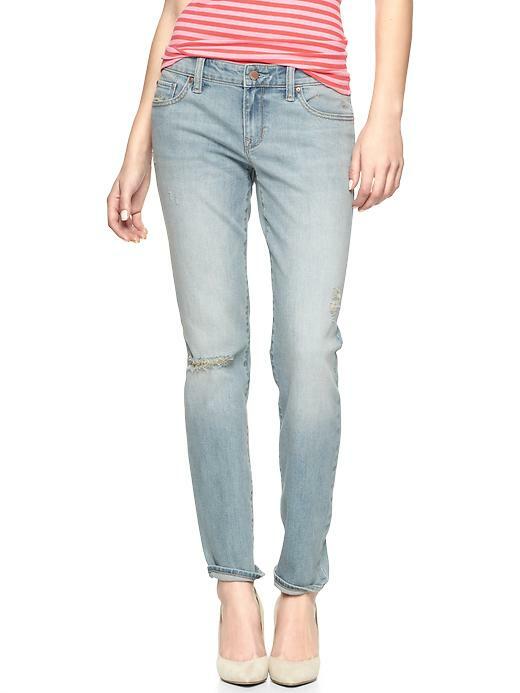 Gap Womens Jeans Petite Fit Guide,Tall Fit Guide Fabrication: Premium stretch denim. Wash: Pale blue with light fading. Holes and destructed accents are unique and vary jean to jean. Hardware: Button closure, zip fly. Features: Five pocket styling. Cut: Low rise with a shorter length. Fit: Skinny through the hip and thigh. Leg opening: Slim. Inseams: regular: 28", tall: 31", petite: 26"